Mobile apps have taken the world by storm. It follows that there are some pointers that a business launching a mobile app needs to follow. 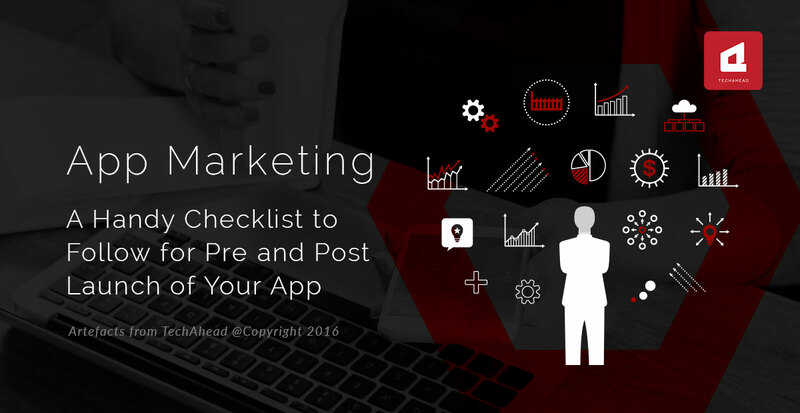 Let us look at each of these pointers from Checklist that business need to keep in mind before and after app launch in detail. It is important to create awareness about the app being launched before the launch itself. However, it is not so easy. The first step in the process is to create a good landing page. This landing page will enable you to collect signups and also to create an awareness and building an interest in the app. The next step is to set us social media marketing handles on various social media sites like Facebook, Twitter, and Tumblr. Create the blog and share the blog through Tumblr. Using the social media optimally can go a long way in ensuring that the app is a success. The press also plays a great role in creating awareness regarding your app. Therefore, it is important for you to prepare and write a press release that will guide the journalists on the salient features of your app. Publicity is one of the greatest forms of sales promotion. Hence, by providing a good press release to the journalists, you can ensure good publicity for your app. After the press has been addressed and the press release has been made, it is important to target the correct press leads. Not all journalists will be interested in your product, the journalists who have an interest in your product will be have more interest. You should focus on those app review sites which are suitable and cater to your product and which the prospective members of your site are likely to visit. • Make sure that you follow up on the responses to the emails you send out. This can be done by immediately sending a formal invite to the press release and following up with a press kit. A personal phone call will also help. • An important task would be to follow up on the press coverage received by a rival app. This will help you to focus on the mobile writers who are important. • It is important to use social media effectively. Use correct keywords when usin Twitter in order to attract the correct views. Once the press aspect of the launch has been covered, it is important to prepare the app for launch in the app store. The work does not end with just the launch. You have to continuously find more customers so that the app has constant visitors and members. Use of Twitter and Facebook is especially useful in this situation. Find influencers and eminent personalities who can try the app and review it so that visitors take notice and treat the app seriously. Mobile apps have taken the world by storm. It follows that there are some pointers that a business launching a mobile app needs to follow.